So many of my clients have issues with being able to pronate (flat arch) their feet, either one foot or both feet. 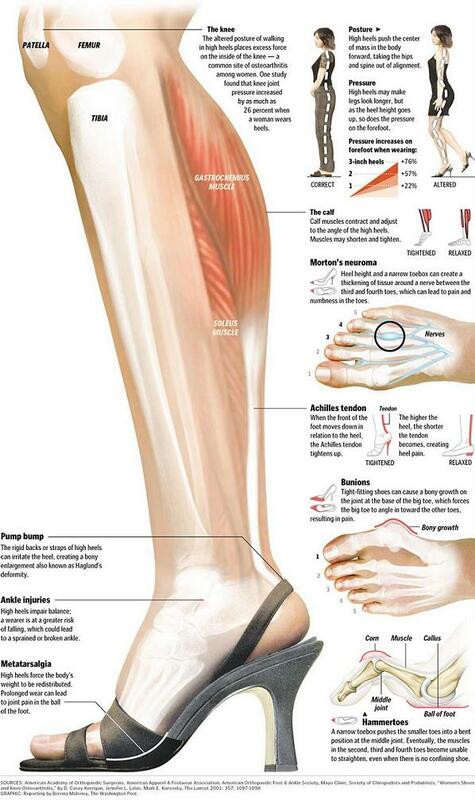 This is usually due to the misconception that pronation is BAD. Pronation is NOT bad, as long as you are able to control the pronation and move from supination (high arch) to pronation and back to supination. The problem comes when you are STUCK in either pronation or supination. Then there is work to be done. Often the problem of being stuck in pronation results in being given orthotics to wear. The problem I have with this is that now instead of being STUCK in pronation, you will be STUCK in supination due to the orthotics, neither which are useful to you. The best way to deal with feet that are STUCK is to reconnect with them and put them through the ranges they were designed to achieve, slowly reminding the brain that it can access these ranges of movement. The inability to pronate or supinate can have massive negative effects further up the kinetic chain. You definitely want to get assessed and make sure your feet are propelling you through life and not slowing you down! Your feet are incredibly important and were designed to be mobile, otherwise you wouldn't have 26 bones in such a small body part. But feet that sit in shoes all day long (particularly high heels, steel-capped boots or any heavy, high-ankle or thick-soled shoe) are not happy feet. They need to breathe and have the freedom of movement. Because of the amount of nerve endings found in the feet (more per square centimetre than any other part of the body) , they're your gateway to proprioception (awareness of where your body is in relation to space). So imagine if your feet were stuck in thick-soled, flat shoes all day, not knowing if there was a need to alter your movement due to uneven ground, inclines, declines or changes in temperature. These are all important messages that should be received through your feet, but when they're constricted within shoes, the brain doesn't receive the feedback. Stiffness in your feet can eventually affect muscles and joints higher up in the kinetic chain, like ankles, knees, hips and spine. Paying attention to and exercising your feet can change pain experiences in other areas of your body...never underestimate the importance of happy, healthy feet! Here are three things you can do to reclaim your feet. Using a tennis ball, golf ball or a posture pro (as seen in picture), gently apply pressure to the bottom of the foot and roll back and forth along the whole arch, targeting any areas of tenderness. This can be done in sitting or standing. Spend at least one minute working on each foot, if not longer. 2. Get your feet moving. Spread your toes apart, then squeeze them together. Point your toes, then flex. Point your foot up from the ankle, lift it up a few inches and move it side to side, making small circles with your foot one way, and then the other. If your feet and toes are really stiff and you struggle to connect with them, use your fingers between your toes to help get your feet moving! 3. Take your shoes off. Spend as much time as you can barefoot. Walking your dog in the park, doing chores around the house, train barefoot in the gym...anything that re-connects your foot with the ground. Try it! Your feet will thank you. You'll gain more mobility, stability and, if you're someone who suffers from repeated ankle sprains, you'll definitely benefit from a barefoot lifestyle as your ankles are clearly trying to tell you something!